Sword Art Online, a light novel which was announced for an anime adaption months ago, just had it’s 15 secs advertisement released on TVs just recently. The anime will start airing this July and similarly to Fate/Zero, it will airs in two different parts. What’s more awesome is that the music will be composed by Yuki Kajiura, one of my most favorite anime music composer who made great music soundtracks from Kara no Kyoukai, Puella Magi Madoka Magica and Fate/Zero. Escape was impossible until it was cleared; a game over would mean an actual “death”―. 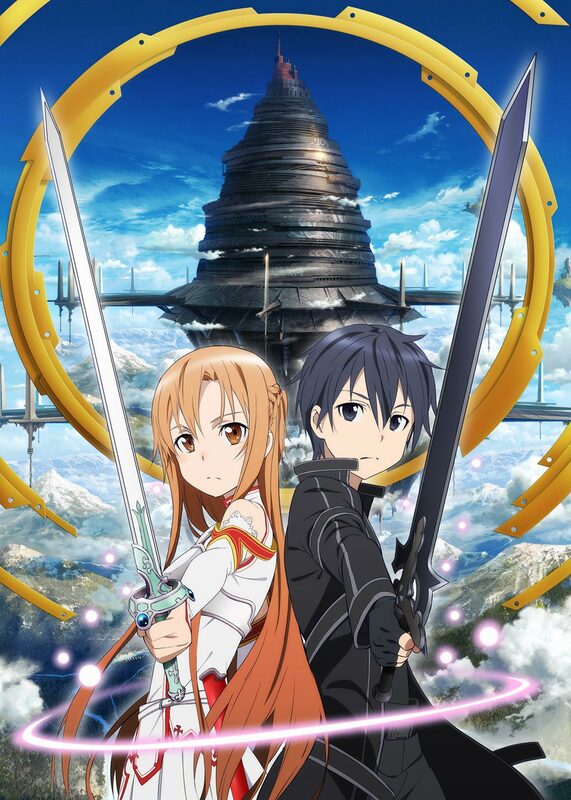 Without knowing the “truth” of the mysterious next generation MMO, ‘Sword Art Online(SAO)’, approximately ten thousand users logged in together, opening the curtains to this cruel death battle. Participating alone in SAO, protagonist Kirito had promptly accepted the “truth” of this MMO. And in the game world, a gigantic floating castle named ‘Aincrad’, he distinguished himself as a solo player. By reading the synopsis, the premise behind Sword Art Online is similar to .hack. The main protagonist, Kirito, entered the MMO world, where he will fight for his life, fighting with all his utmost abilities to avoid a GAME OVER, where he will die if the latter occurs. .hack// series is certainly good if you’re talking about the games, for their anime… not so much though.. at least in my opinion. Im not sure about it, I read a bit the novel and found it a bit meh, kinda reminds me of somehow Blacksmith series but I think this might be more promising. Ooh I didn’t know you read light novels too. I’m a new LN reader :D Still trying to finish Hako Maria volume 4.